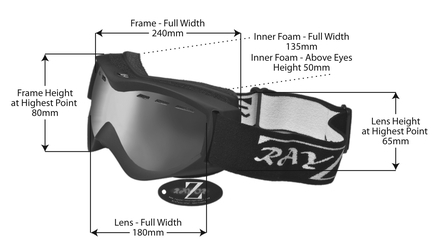 Home Snowboard & Ski Goggles RayZor Blue Camouflage Framed Goggle With an Anti Fog Smoked Mirrored Vented Double Lens. RayZor Blue Camouflage Framed Goggle With an Anti Fog Smoked Mirrored Vented Double Lens. Lightweight Camouflage Blue Goggles with a Shatterproof Polycarbonate Frame and an Adjustable headband Bearing the RayZor Logo. RayZor Blue Camouflage Framed Goggle With An Anti Fog Blue Smoked Vented Double Lens.